Hot Cocoa Hershey's Kisses with Marshmallow Creme: IT'S COLD OUTSIDE! 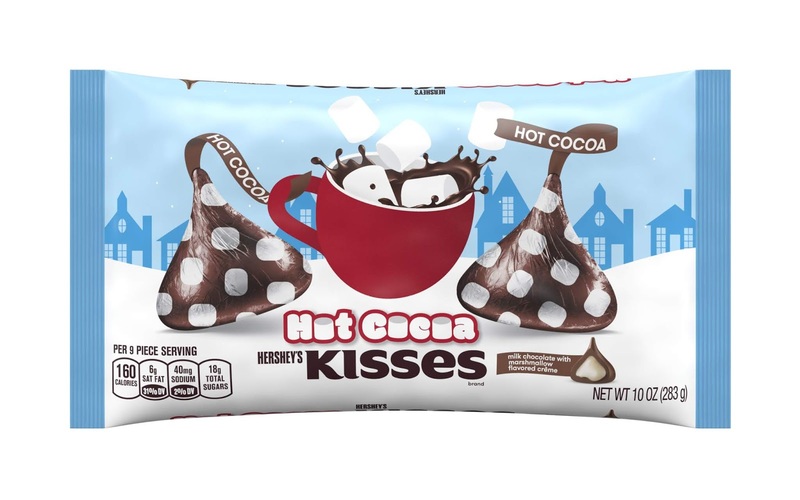 Hershey's is warming things up with their NEW Hershey's Kisses Hot Cocoa with Marshmallow Creme! These milk chocolate nibbles filled with smooth marshmallow flavored creme taste just like those old school Swiss Miss hot chocolate mix packets with mini marshmallows that we all grew up with and loved. They really taste different from original Hershey's Kisses are are sure to add some fun and flair to your next Christmas gathering. We dig 'em! This Holiday season curl up to these new Hershey's Kisses while supplies last!